Statistically speaking, about 1 in 8 women in the US will have to deal with breast cancer sometime in their lifetime. So it’s important to stay ahead by keeping up with the latest screening options. These are also the tools that your primary care physician will use to evaluate any new breast mass or breast issues that you may have. 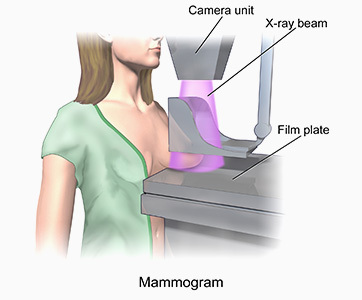 Let’s start with the most familiar screening procedure: mammography, which is simply a breast x-ray. This low-dose x-ray system is efficient in early detection and diagnosis of breast diseases. A breast exam, done by either yourself or a doctor, should be performed prior to a mammogram. If lumps or other notable changes are felt in the breasts and/or underarms, a mammogram is used to take a closer and more accurate look. Those patients who are at or over the age of 40 should have yearly screening mammograms performed in order to detect any abnormalities that may pick up breast cancer at an early stage. Advances in mammography have improved breast cancer screening. First, the digitization of mammograms – also called full-field digital mammography (FFDM) – have allowed for the decreased use of film. With solid-state detectors, x-rays are converted into electrical signals from which images are produced on computer screens instead of traditional x-ray film. From a patient’s perspective, the procedure remains similar to that of a traditional mammogram but a digitized mammogram image can now be combined with a computer-aided detection (CAD) system. With CAD systems, an image is searched and highlighted for abnormal areas of density, mass, or calcification that potentially indicate cancer. It is then a radiologist’s job to analyze these highlighted areas and to pass on relevant findings to your physician. Breast tomosynthesis or three-dimensional (3D) breast imaging has been breakthrough technology in breast cancer screening. The detection of smaller abnormalities that were previously unseen with traditional mammography is now possible with tomosynthesis. Conventional digital mammography produces one image of overlapping tissue, making cancer detection more difficult. Breast tomosynthesis takes multiple images of the entire breast where the images are then reconstructed in to a 3D image by a computer. It allows the breast radiologists to see through layers of tissue and examine areas of concern from all angles so that smaller abnormalities can now be screened more effectively and safely. 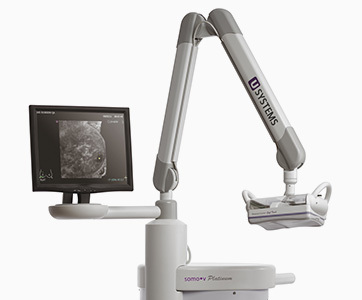 Other benefits include a greater accuracy for pinpointing size, shape and location of abnormal areas resulting in fewer biopsies because a clearer image of the breast is visualized. An ultrasound, also referred to as US or sonography, is a process of viewing the breast tissue using sound waves. Patients are tested using a small, microphone-like tool called a transducer. It emits sound waves that echo off breast tissues and are converted into a black-and-white image on a computer screen. It is painless and entails no radiation exposure or anesthesia meaning it is done while you are awake. An ultrasound is used to evaluate breast issues, specifically any masses that may been seen on mammogram or on exam by your doctor. It is most helpful in differntiating cysts (fluid-filled sacs) from solid masses. A more accurate size measurement of the mass can also be determined with an ultrasound. It must be noted that a mammogram still hold primacy over an ultrasound in matters of screening but when used on women with dense breasts, the mammogram-ultrasound combination can be especially helpful in differentiating between the different types of masses. Frequently, any masses that are seen on a mammogram will be further evaluated with an ultrasound as the next step in evaluating the lesion. 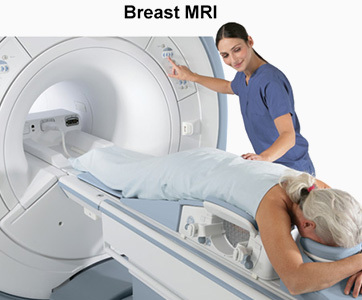 Magnetic resonance imaging (MRI) is yet another method for evaluating a breast mass. Similar to an ultrasound, it is not used as a screening tool but as an adjunct after a breast mass or calcifications are seen on a screening mammogram. This test is more expensive and very sensitive in that it will pick up very small lesions that are not seen on mammogram and even tomosynthesis. The downside of having a study with higher sensitivity means that there will be higher false positive rates -meaning suspicious lesions that are seen on MRI will often come back normal. MRIs should be used in conjunction with ultrasound and mammogram and are typically the last breast study that may be ordered to finalize treatment options such as in those patients who may be pursuing a mastectomy. « I feel a Breast Mass, what should I do?